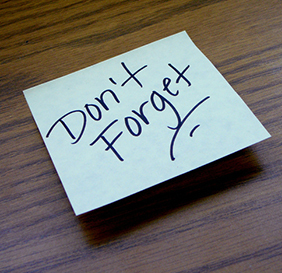 You are here: Home / health tips / Why Can’t I Remember? 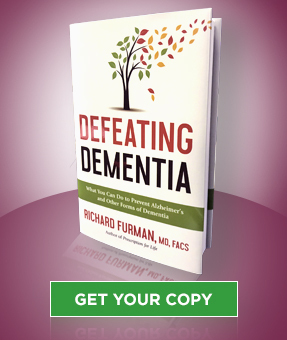 The other day on television they stated that the most dreaded disease process we confront today is that of dementia. We see the parents, the grandparents, older friends who are developing Alzheimer’s disease. When I was young, they called it: “hardening of the arteries”. There are actually two main types of dementia: Alzheimer Dementia and Vascular Dementia. Pure vascular is obviously caused by a problem in our arterial system. The large arteries supplying the brain have become partially blocked resulting in less blood flow to the brain, or smaller arteries within the brain are becoming blocked. With Alzheimer dementia, there are plaque-like substances forming in the brain tissue or tangles forming around the nerves. One significant finding is being seen in the medical literature and that is: with the majority of all dementia, there is a vascular component being found. There is no cure but there are steps you can take to help prevent the problem. Foods, exercise, and weight are all significant. Read Prescription For Life and learn steps you can take to head off the most dreaded disease process we confront today in America.